Home » News » Southeast Alabama Community Action Partnership. 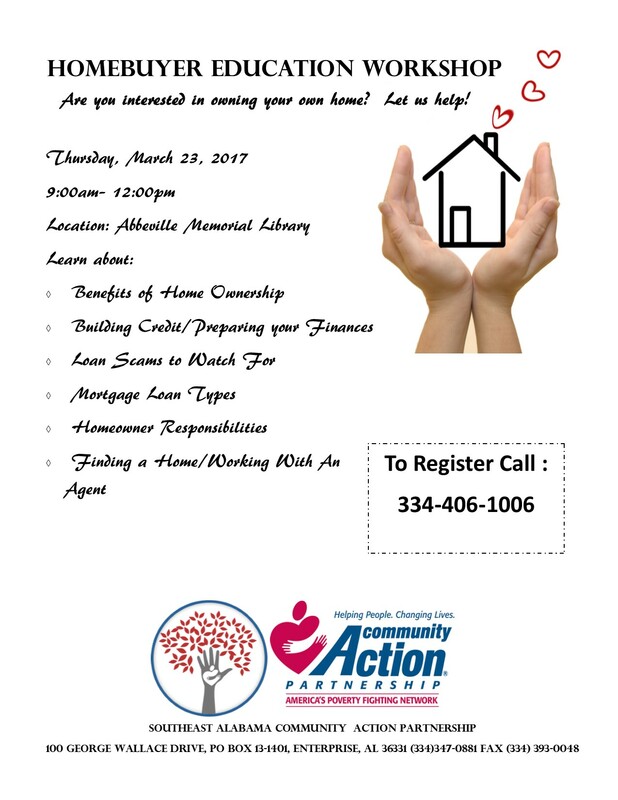 Southeast Alabama Community Action Partnership. By abbeville_librarian in News on February 28, 2017 . This workshop is being offered by SEACP (Formerly HRDC). For more information call them at 334-406-1006. Seating will be limited. Call early to register and reserve a seat.